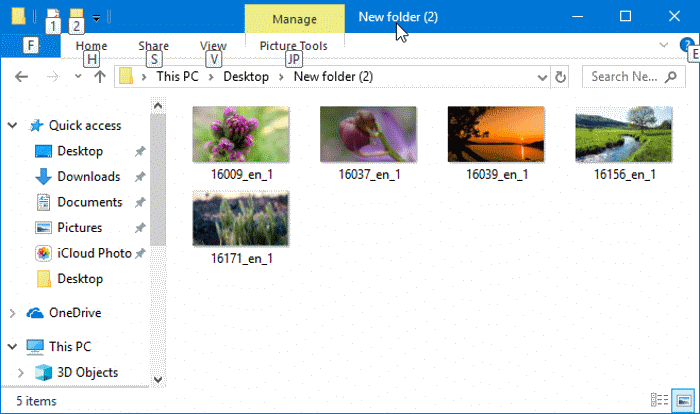 Do you have tens of images captured in Raw image format and want to open them in Windows 10? Want to know how to view Raw images in Windows 10? Here is how to open Raw images in Windows 10. As you likely know by now, Windows 10 doesn’t support Raw image formats out of the box. We need to use third-party tools to convert Raw images to viewable image formats such as JPEG or PNG to view them. But this will change with Windows 10 version 1903. The good thing is that you no longer need to install a third-party software in order to view Raw images in Windows 10. 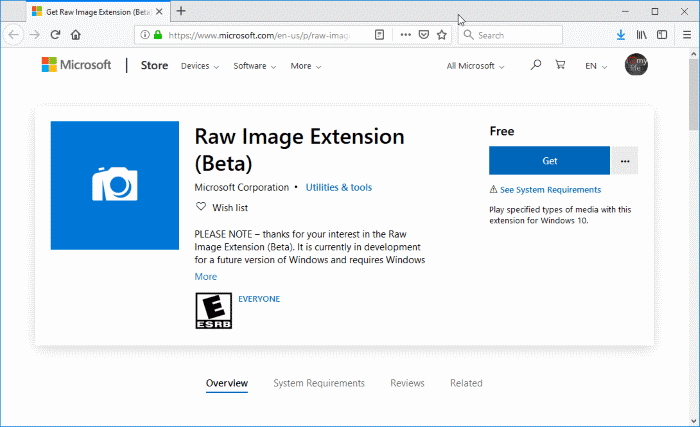 With Windows 10 version 1903, you will be able to open and view Raw images in Windows 10 by simply installing the official Raw Image Extension from the Store. Once the Raw Image Extension is installed, you will be able to view Raw image thumbnails and previews right in the File Explorer just like other processed images. Besides that, you will also be able to open Raw images with the built-in Photos app once the Raw Image Extension is installed on your PC. The current version of the extension adds support for most of the popular Raw image formats. If you want to know the list of cameras supported, please head over to this supported cameras page. Complete the given below directions to install the Raw Image Extension to support Raw images in Windows 10. IMPORTANT: As mentioned earlier, you must be running version 1903 (build 18323 or later) or above version of Windows 10 in order to install Raw Image Extension. The extension doesn’t support earlier versions of Windows 10. Step 1: Visit this link to open the Raw Image Extension page in the Store app. Step 2: Click on the Get button to install the extension. That’s it! You should now be able to view the thumbnails and previews of Raw images in File Explorer as well as open them with the Photos app (at full resolution). Additionally, all Windows apps that use Windows Image Component framework to decode raw images will support Raw images post the installation of the extension. If you are unable to view image thumbnails in File Explorer even after installing the extension, please restart the File Explorer/Windows Explorer once, or reboot your PC once. If the issue persists, please refer to our thumbnail previews not working in Windows 10 article to address the issue.